Erik Hromadka serves as CEO of Global Water Technologies. Hromadka, 52, has been a shareholder of Global Water Technologies since 2002. He joined the board and became CEO in 2009, was named chairman in 2010 and transitioned the company from its post-bankruptcy efforts and through a variety of legacy issues. Under his leadership, the company refocused its efforts on new "smart water" technologies to improve efficiency in distribution systems with sensors and software. Prior to joining the company, Hromadka served as editor of Indiana Business Magazine and also worked with a wide range of entrepreneurs, providing consulting services, business development and strategic communications. A 1988 graduate of Valparaiso University, Hromadka has a background in journalism and covered business, technology and law for numerous publications. Tony Sandlin is an Indianapolis entrepreneur who has started, operated and sold several small businesses and is active in numerous professional and service associations. Sandlin, 51, is also well known as a commercial hot air balloon pilot with more than 1,500 hours of flight time. He operates Midwest Balloon Rides and has organized and participated in dozens of events across North America and overseas. Graham Symmonds is a pioneer in the U.S. smart water sector, having worked with system, technical and operational requirements for numerous utility projects. He brings a unique perspective on both new technology applications and also compliance with state and federal environmental laws and regulations. His experience with software and analytics systems have resulted in successful deployments of smart water solutions that generate cost savings and improved customer service. Symmonds is a graduate of the University of Toronto and the Royal Naval Engineering College. Dr. Tom Iseley has more than 35 years of experience in the planning, design and construction of underground water and wastewater infrastructure systems. He is recognized as an international leader in trenchless technologies and founded the national Trenchless Technology Center at Louisiana Tech in 1989. He returned to lead that center in 2014, following a distinguished academic and professional career. Dr. Iseley holds a B.S. degree in Civil Engineering and an M.B.A. degree from the University of Alabama in Birmingham and a Ph.D. in Civil Engineering from Purdue University. Stephen J. Hopkins is an executive with 40 years of unusually diversified financial and general management experience, including a wide range of finance and manufacturing related responsibilities with General Electric Company and 25 years in turnaround management consulting. Hopkins has either managed or played a major role in projects for more than 150 different businesses, including both public and private companies navigating acquisitions, divestitures, complex operational and debt restructurings and international challenges. He is co-author of Crafting Solutions for Troubled Businesses (Beard 2006). Benjamin Brant is the CEO of Agregy Renewables, a company formed to commercialize and develop bio-intensive farm and energy systems around the world. Brant has 36 years of award-winning experience in water, waste, energy and sustainable development with both public and private companies. In 2004, he helped Global Water emerge from its reorganization and has founded several companies focused on produced water, advanced biofuels, utility efficiency and resource conservation. 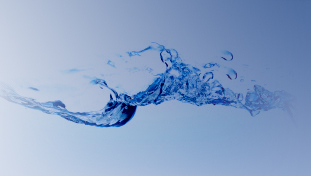 John Thompson has spent more than 20 years developing non-chemical water treatment solutions, with a specific focus on the use of electronic water technology. He founded Environmental Treatment Concepts, Ltd., which won the "What's New in Industry Award" for services to British Industry and was a founding member of the UK Physical Water Conditioning Association. Thompson and his wife Beverley are also the founders of the Yala Fund, a charity established to assist Sri Lanka in recovering from the 2004 Tsunami.